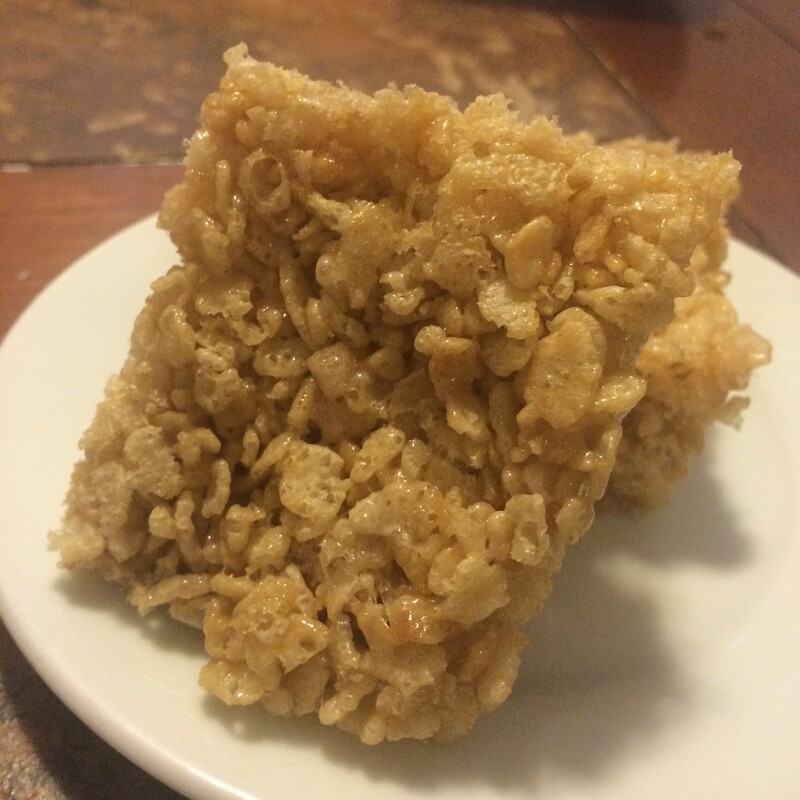 This is the perfect Rice Krispy Treat recipe! It doesn’t vary too much from the original on the side of the box, but what makes these Rice Krispy Treats the best ever is all in two simple tricks. Keep reading to find our how to make your Rice Krispy Treats even better! 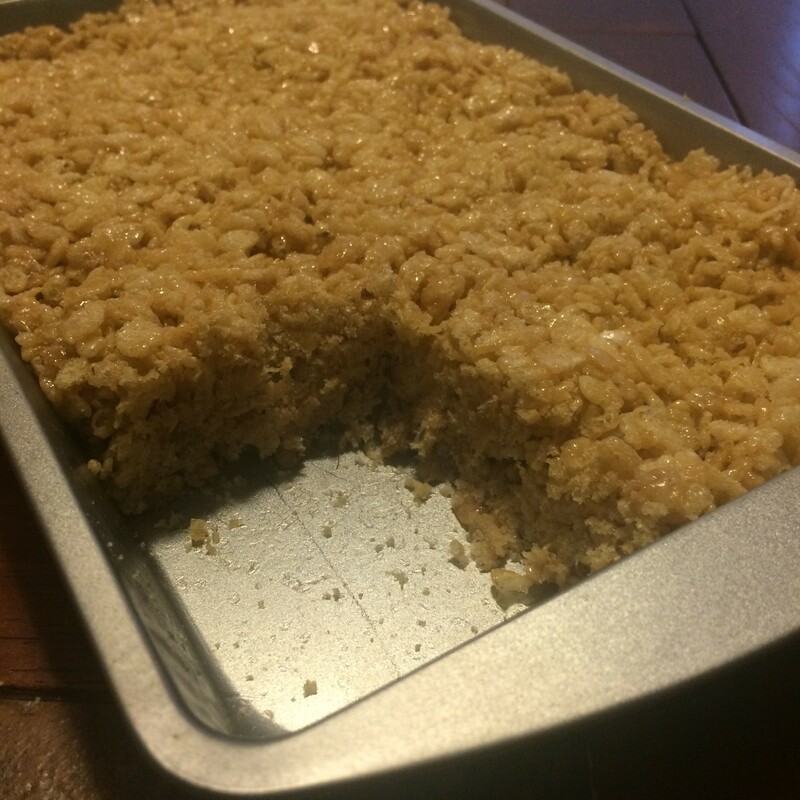 Homemade Rice Krispy Treats are one of my favorite treats! They are sweet, crunchy and a little gooey – the perfect snack combination! 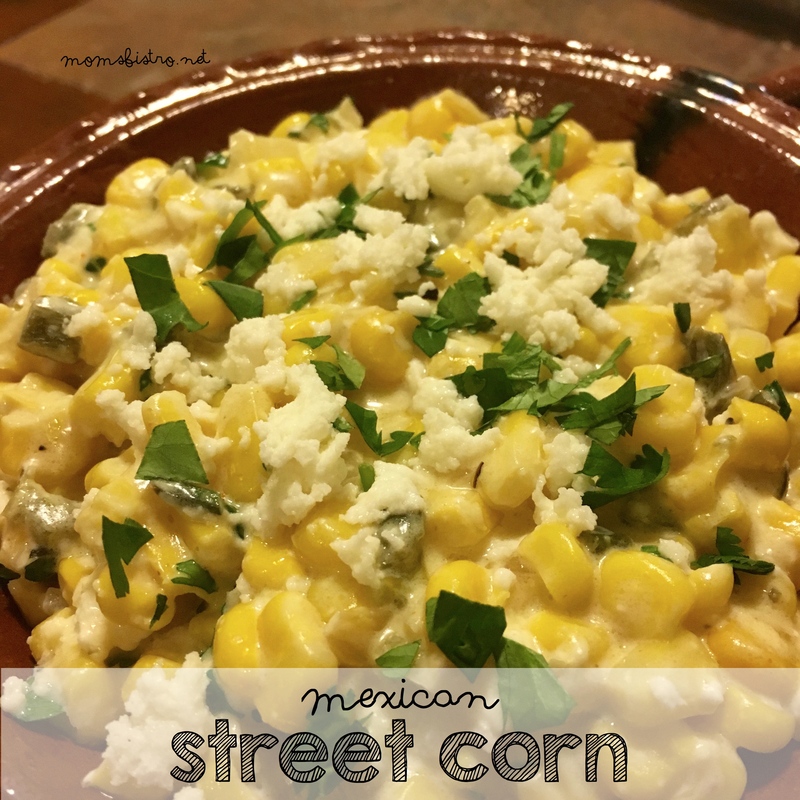 I remember when I was a teenager, my neighbor came over one night, around 8:30 P.M., after about a bottle of wine (Thursday’s were always Thirsty Thursday on my street), and suddenly remembered that she needed to make a snack for her kids class, for tomorrow. My neighbor didn’t really like to cook, let alone bake, so without hesitation, my Mom taught her, so my Mom cooked up, a quick batch of these Rice Krispy Treats. There are two secrets to make your Rice Krispy Treats really shine! It doesn’t include any extravagant ingredients, or special equipment – just a few more minutes of your time and an every day ingredient from your pantry – salt! Adding a little bit of salt to your Rice Krispy Treats just simple makes them more delicious! As weird as it seems, the salt actually makes these Rice Krispy Treats even sweeter – something your kids will love! Browned butter is the magical ingredient that just enhances any dish you add it to – sweet or savory. The best part about browned butter is that it’s super easy to make. 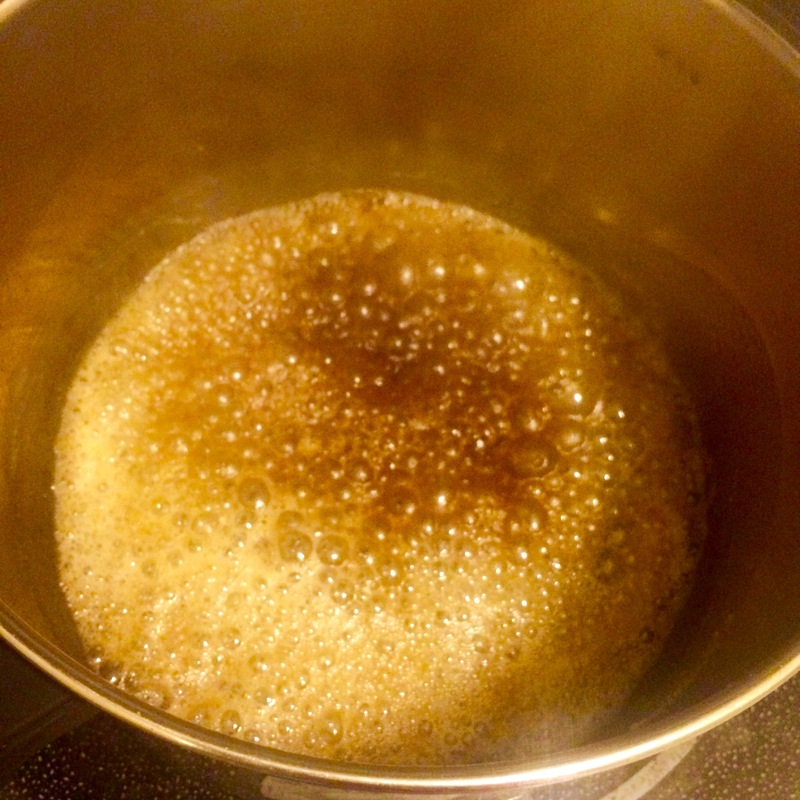 To make brown butter, start by melting butter over medium heat. Swirl the pan constantly while the butter melts. As the butter starts to melt, it will start to foam. The foam will turn from a light yellow color to a light brown color – think toast. 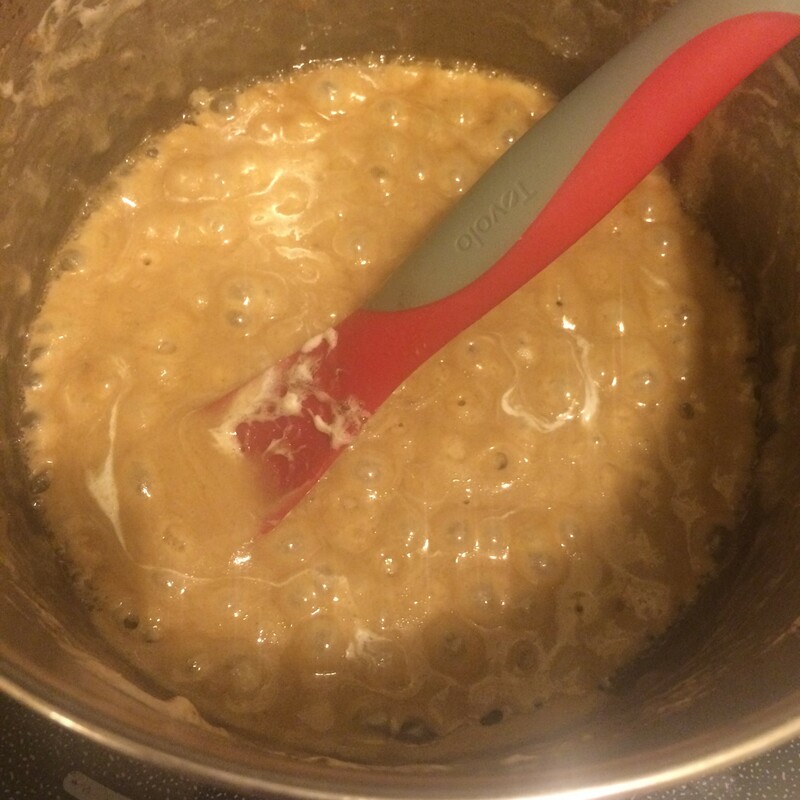 Once you start to smell the delicious, nutty aroma coming from your butterm take the pan off the heat. If you need a cheap, easy, last minute dessert, these Rice Krispy Treats are for you! Prepare a 9×13 casserole dish by spraying with Pam, or spreading butter around the bottom and sides. In a large pot over medium-high heat, melt butter with salt. 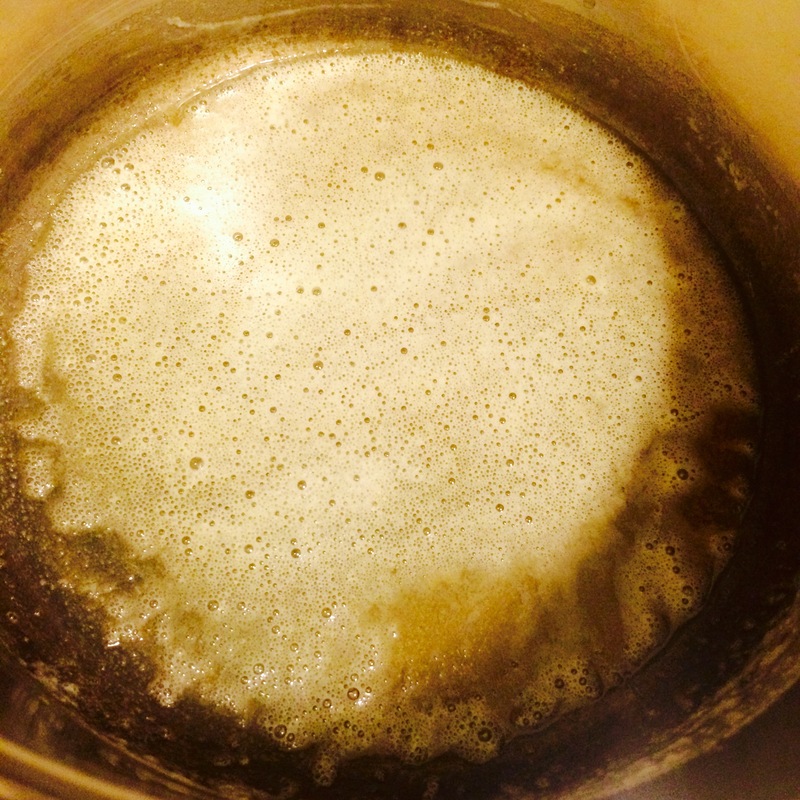 Once the butter starts to foam, keep cooking, swirling the pan until the foam turns a light brown color and you smell that nutty aroma. Add vanilla to butter and stir to combine. Reduce heat to medium, and add marshmallows. 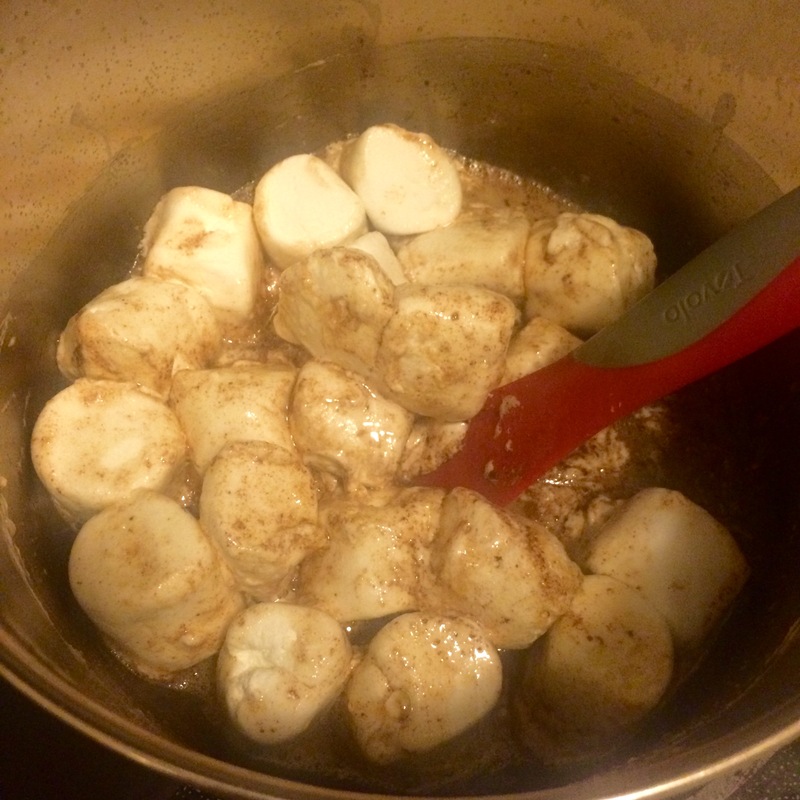 Cook, stirring constantly until all of the marshmallows have melted into the butter. 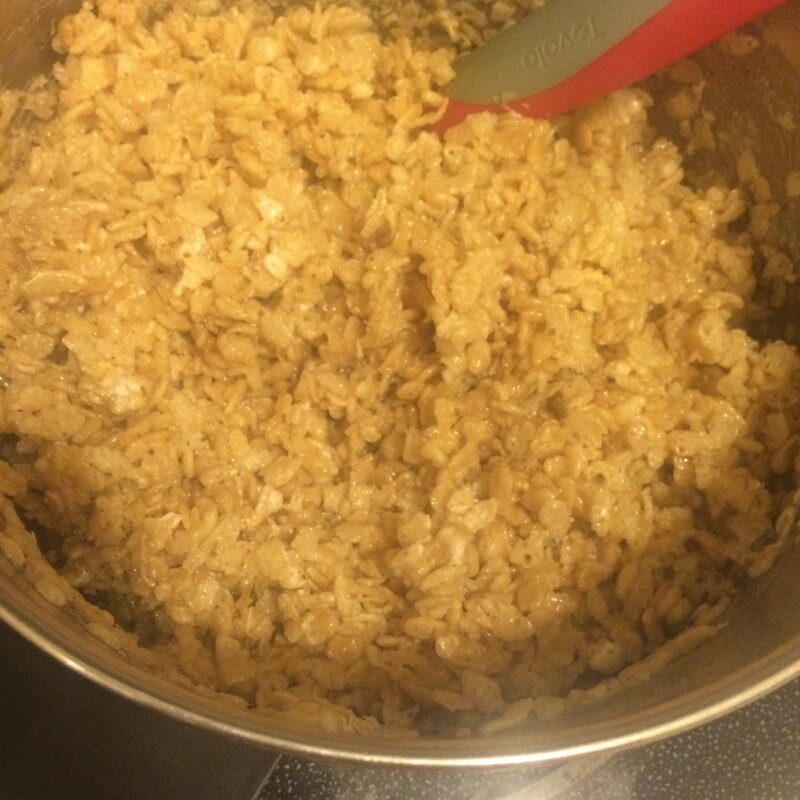 Turn off heat and add rice krispy cereal and stir to combine. 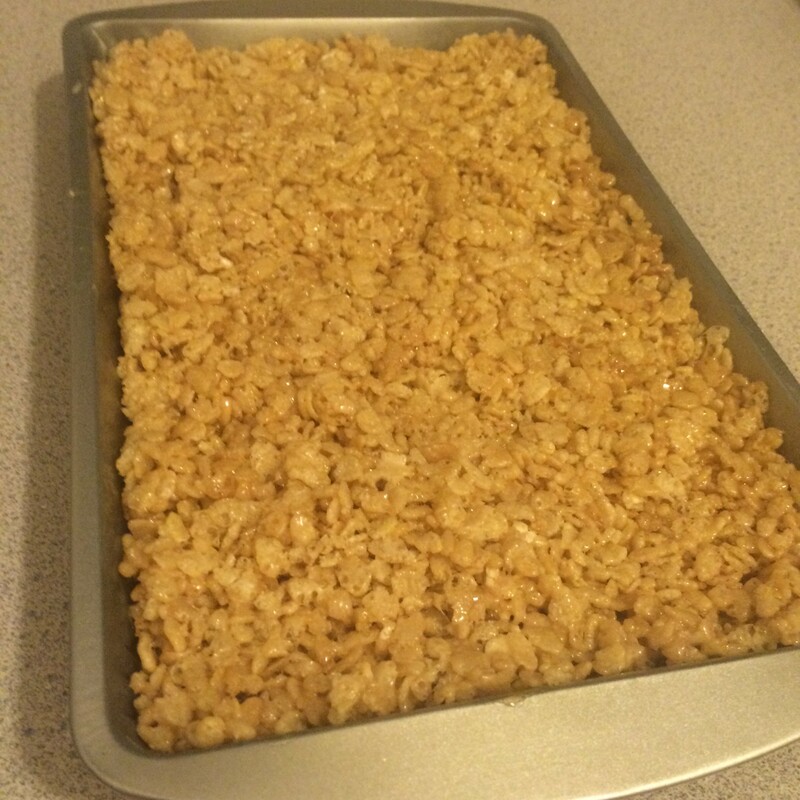 Pour Rice Krispy Treats into prepared casserole dish. 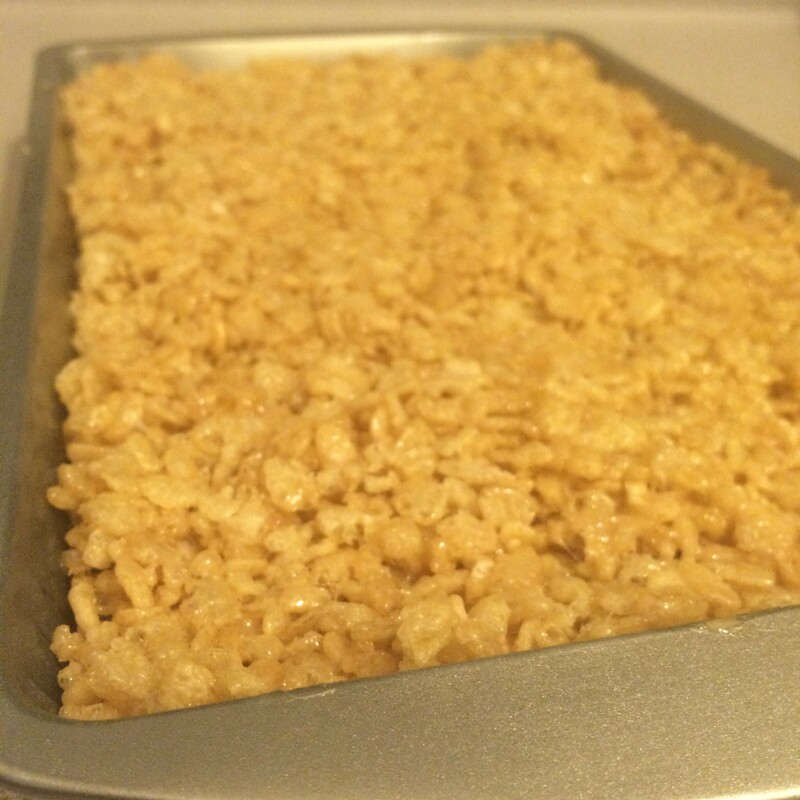 With a little butter on your hands, spread Rice Krispy Treats into casserole dish, pressing into the corners. 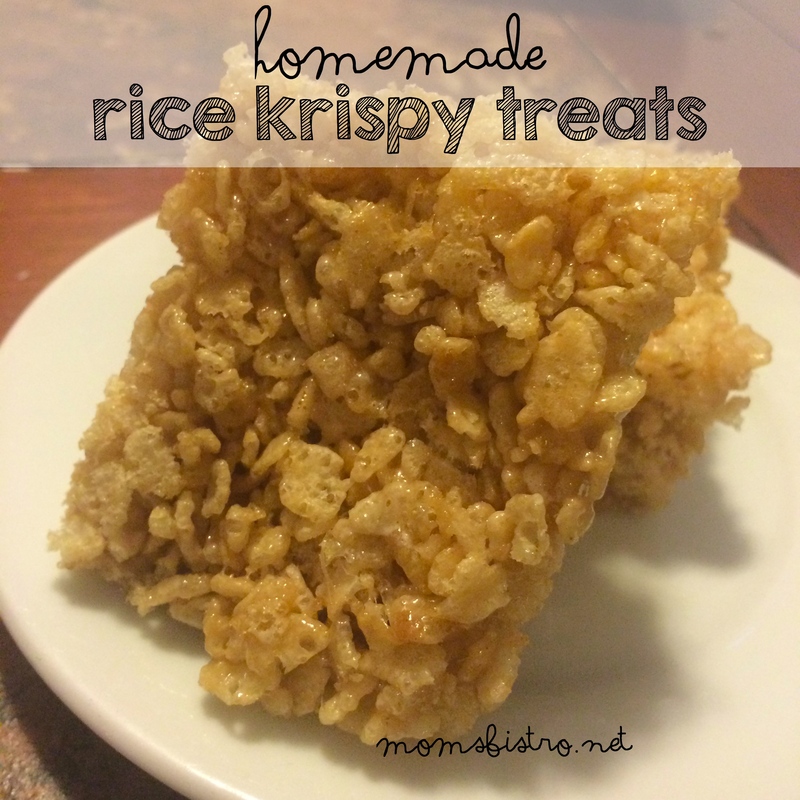 Don’t forget to lick off the delicious, warm, sticky rice krispys from your fingers! Wait 10 minutes for Rice Krispy Treats to cool before serving.